Our non-winterized facilities are generally available from May through October. During the summer camp season from early July through mid August, however, available dates may be somewhat more limited due to programmed site usage. 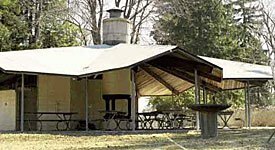 For additional information and to inquire about available dates and current rates, please call the Holmes office at (845) 878-6383 or e-mail us at holmes@holmescamp.org. Located in the rustic area of the site around Denton Lake, these canvas cabins with screening are set on wood platforms. 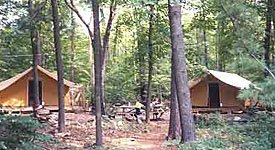 Each tent cabin sleeps 8 people, and they are grouped in units of two tent cabins around a campfire circle with picnic tables. 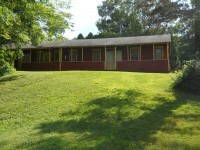 Located between Nunemaker and Agape, are two unheated cabin units with a total of 64 beds. Each unit has four bedrooms, each with 8 beds and a bathroom/shower per room. The South Unit also has a separate additional building, Don’s Diner, with a full kitchen, dining and meeting space. This area on Denton Lake is for tent, trailer, and day use. 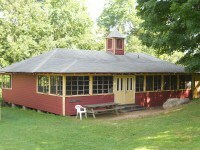 The lakefront pavilion includes restrooms, showers, picnic tables and charcoal grills. Westminster and Robinson beaches are picnic areas available by reservation. 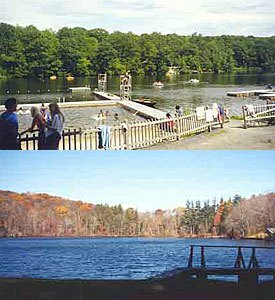 These sites include picnic tables, charcoal grills, rest rooms, and lifeguards (prior notice and fee) for boating and/or swimming.